My name is Abigail Laulman. I am a Project Coordinator this summer at Quetico Foundation as well as an alumna with their Ridley wilderness Youth Program. 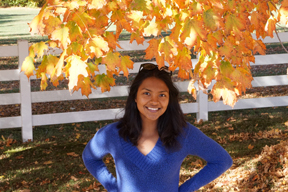 I currently reside in Mississauga, Ontario and study Social Sciences and Psychology at McMaster. I grew up in and out of 3 large cities across India before my family decided to move to Canada in 2012. Having had exposure to two very different continents and cultures, and moving homes as often as I have, I have gauged importance of versatility. 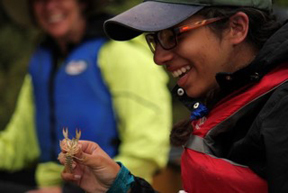 I am thrilled to be a part of the “We are Canada-United by Canoe” heritage trip because it is yet another opportunity to adapt and learn more about the world and it’s peoples as we continue to evolve culturally, geographically and environmentally. I believe as Canadians we have a real shot at pioneering world peace and unity as well as conflict-resolution and cooperation strategies globally because of how diverse a group we all are and how everyone can find a place within the rich mosaic of Canadian culture- I’m excited to see this happen at a grassroots level in Quetico Provincial Park this summer! My name is Peter Tyrie; I am the team leader of the 2017 Quetico Foundation summer research team, brother to three, and a graduate of Confederation College’s forest ecosystem management program. My passion for resource management is fueled by a personal desire to advocate for the otherwise voiceless forest. I will make any sacrifice to gather the information that is necessary to make educated, well-informed, mindful, and collaborative decisions. Originally, I’m from Toronto, Ontario, but my studies have taken me to various destinations in northern Ontario including Thunder Bay, Armstrong, Atikokan, North Bay, Temagami, Killarney and Kenora to complete recreational, operational, therapeutic, and research based canoe trips. It is my personal belief that the canoe is a mechanism that holds the same cross-cultural ability as art, dance, and music. Practicing this Canadian pastime pays respect to all the efforts which it took to create this country. 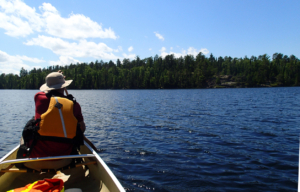 I am on We Are Canada – United by Canoe trip to assist in bridging the gap between the current and future leaders of Canada by sharing an expedition from French Lake to Lac Le Croix in Quetico Provincial Park. I was born in India in 2001, the country of both my parents’ origin. We left India to immigrate to Canada in 2004, shortly before my third birthday. I have lived in the same neighbourhood in Toronto since then. Ever since I can remember Toronto has been my home and my place of comfort. I’ve always loved the parks and beauty of nature found in and around Toronto. will never get them back. I am on We are Canada.United by Canoe trip because I love nature and I am thrilled by the opportunities this trip has to offer. I have always wanted to get away from the hectic city lifestyle to somewhere serene where I can enjoy the sunsets and stars. I worked with Trinity Theatre’s Leadership Lab during the summer and I was connected with Quetico Foundation upon being chosen for this trip. I owe it to both of these wonderful organizations for this opportunity! Jared Stachiw – I am in 3rd year at Lakehead University, studying Environmental Management and Wildlife Biology, and am the Biology Intern for The Quetico Foundation. Currently, I reside in Thunder Bay, Ontario, but I originally hail from Huntsville in the Muskoka region. I strive to live my life with the philosophy “I am a part of all I have met”. This mantra reminds me to engage with everyone in the most positive way I can, and to experience and explore all that I’m able to. By doing so, acknowledge how I’m constantly growing as an individual, and to not let this personal development stop. I believe the United by Canoe trip will provide me with yet another opportunity to expand who I am. To me, Canada is a nation that represents this same set of values; it is a place where a vast variety of individuals can add to the cultural mosaic of our land, and in turn each member of our nation is influenced by this melting pot of diversity. When considering the future of Canada I hold the protection of wilderness a paramount concern. Being an avid adventurer and lover of the wilderness, the United by Canoe trip is an exciting opportunity to share my passions with individuals who have less exposure to this corner of our rugged Canadian wilderness that I have come to love. It is my hope that each person on this trip leaves with a greater appreciation and fascination for the natural world – inspiring each individual to also consider preservation as a priority for our country’s future. 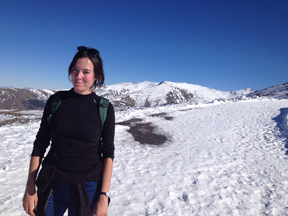 My name is Marla Larson and I am a field research team member for The Quetico Foundation. 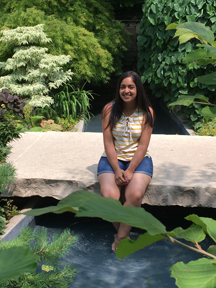 I am currently studying Environmental Sciences at the University of Guelph. My hometown is Atikokan and I have been lucky enough to have grown up with Quetico Provincial Park as my backyard. When thinking about the future of Canada, I believe it is important to emphasize proper education about the issues and projects being studied in attempt to preserve the wilderness around us. Educating the communities in which we work in aids in the understanding of why we do what we do, this way we can protect the people and the wilderness to ensure our country remains a great place to live in for future generations to come. My name is Nancy Awadallah, and I am a high school student from Toronto. I currently attend Weston Collegiate Institute and I am in the International Baccalaureate (IB) program. It it a very intense program, aiming to prepare students for post-secondary education. My parents are from Egypt, making me an Egyptian citizen. However, I never really lived in the country. I was born in the U.S., raised in Saudi Arabia, and now, I’m living in Canada! We moved here when I was at the age of 13 and I instantly fell in love with Toronto and its diversity. When thinking about Canada’s future, one of the most important things that comes to mind is cultural diversity. Our country, workplaces, and schools consist of various cultural, racial, and ethnic groups. Culture shapes our identity and influences our behaviours. Cultural diversity makes us accept, and even to some extent, integrate and assimilate with other cultures. By learning about people of different cultural backgrounds, we can increase our horizons, have better interpersonal dialogue, and communicate more on a personal level. Although Canada is very cultural diverse, I think there is a lot more that can be done to better ourselves and our country. Last year, I had the opportunity to participate in Quetico Foundation’s Ridley Wilderness Youth Program. The program provides students from across Toronto with a wilderness canoe tripping experience in Quetico Park. Not to be cheesy, but this trip was a life-changing experience. It allowed to me to forget about the city’s hustle and bustle, and to become a better version of myself. I grew closer to nature and became more appreciative of the beauty around us. So, when I had the same opportunity this year, I couldn’t give it up! Whenever you have the chance, visit Quetico Park. It is a truly beautiful place! 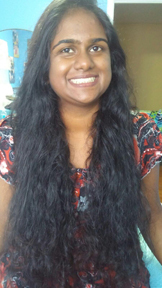 Hi, My name is Sona Sugunakumar and I am a current high school graduate moving onto post secondary at University of Toronto, Scarborough campus. My field of interest is psychological and health studies. I was born and raised in Ontario for my entire life and currently reside in the greater toronto area. When I’m talking about a different pair of glasses; both figuratively and metaphorically, I am referring to the concept of Canada being the land of immigrants which it surely is. However 150 years back this land was occupied mainly by the aboriginal people. By getting to know the aboriginal community and their culture throughout this trip I think I’ll be able to get known them much personally than any history book. By understanding how they were able to help the first immigrants of Canada to survive so this nation can stand in its present glory. This is crucial I feel for the future generation because it is a piece our history that does not get enough recognition as should be.As for myself as a city girl I think this is the perfect chance to see my own abilities in handling the natural beauty of Canada and simply disconnecting from the world of social media to enjoy what’s around me for once. 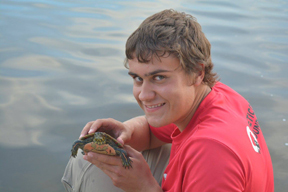 My name is Ty Colvin, and I am part of the Quetico Foundation’s summer student research team. I was born in Atikokan, and have lived there my entire life. I am now going to Lakehead University in Thunder Bay, where I am studying Biology. I have just finished my second year, and am getting ready to start third year. My first real experience in Quetico Provincial Park came with my high schools Outers program, where we went on multi-day canoe trips within the park. Last summer, I had started working on the summer student research team. It was such a great experience that I had to come back for another year. Getting to collect data for scientific research while on canoe trips within Quetico park for a summer job is hard to beat. I am very excited to be on the United by Canoe trip, as paddling huge voyageur canoes with so many new people should be a great experience. 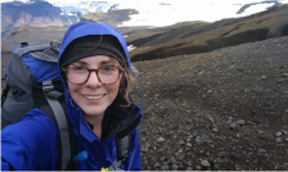 Brittany Manley has had a love of nature since she was young, taking advantage of every opportunity she can get to hike or canoe trip, or camp, summer or winter. She has trekked throughout the world and finds there is no better way to explore and understand a place better than on foot or if possible by canoe. She has dabbled working in urban agriculture in Toronto through edible landscaping, and currently resides in Spain, where she experiments in textiles, natural dyes, studies, and spends as much time as possible in the garden. future leaders can come to embrace and further encourage these principles. 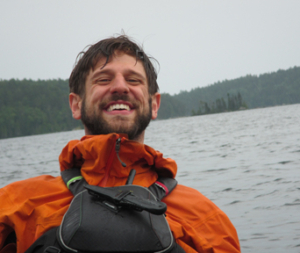 My name is Chris Stromberg – Thank you for inviting me along on this opportunity to get out in the voyageur canoes with a great fun group of people. 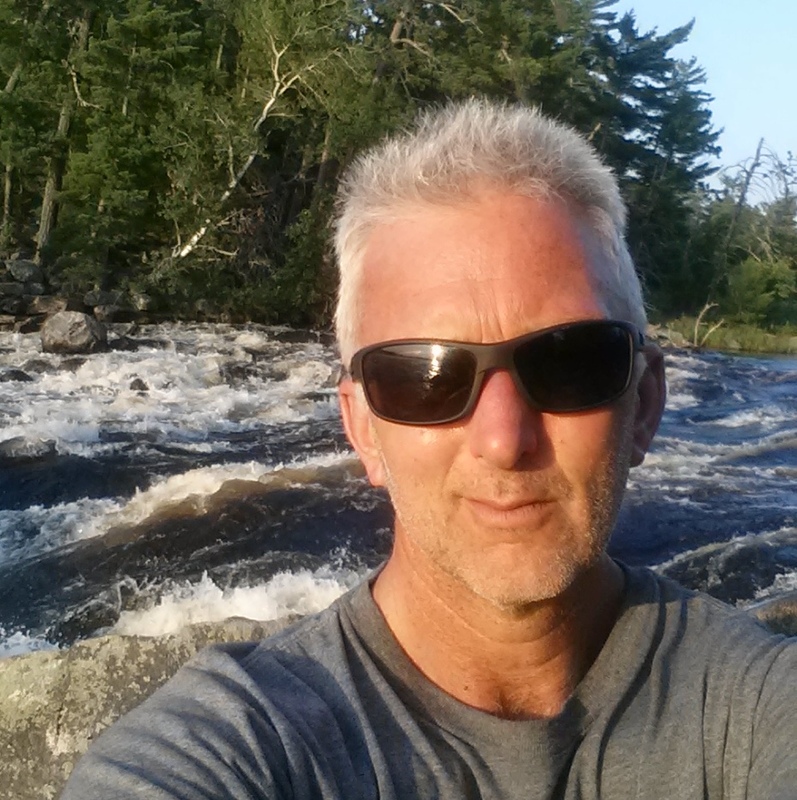 I am a long time resident of Atikokan “the canoeing capitol of Canada”, an avid paddler and cross country skier. My position with Ontario Parks has been a park warden that works with a proud energetic portage crew team in the interior of Quetico. It is more than a rewarding job but also lifestyle. My other passion is helping in the coordination of the Heart of the Continent Partnership, a Canadian-American coalition of land managers and stakeholders that work together on cross border projects that promote economic, cultural and natural health of the lakes, forests and communities of the border lake region of Minnesota and Ontario. This canoe trip was very been very rewarding, it was great to hear peoples stories and is always a pleasure to see Quetico through the eyes of people that have never been or experienced a multi-day canoe trip before. It was also fun to get out with the Foundation Research team; I see them leave and return on canoe trips, as they see me doing the same but I haven’t had a chance or pleasure to spend a trip together before this. The entire group that paddled across the park surprised me with their energy and comradery. Thanks again for letting me be a part of this experience.